WE'RE FLYING HIGH WITH SOU AND EASYJET! 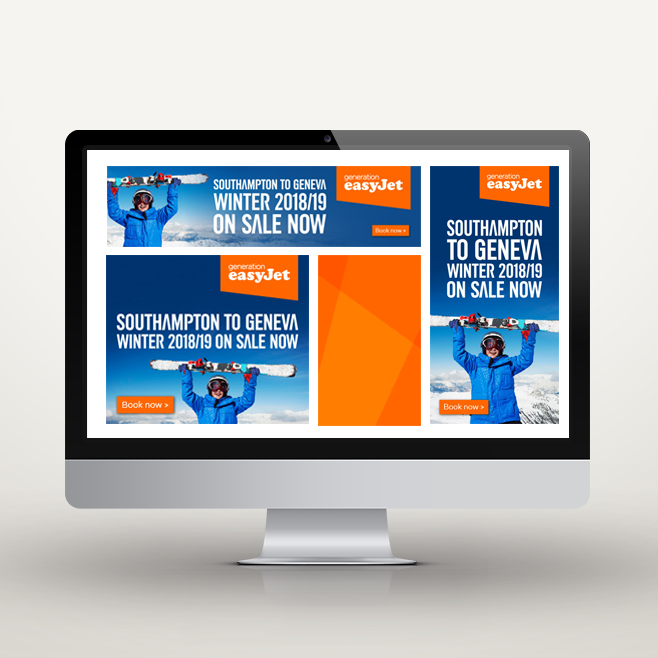 IN THE STUDIO THIS WEEK: WE’RE FLYING HIGH WITH SOU AND EASYJET! 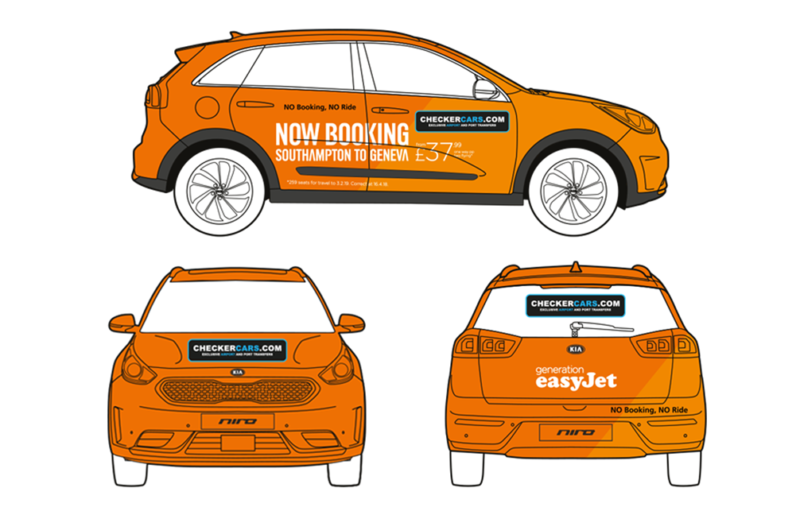 #InTheStudioThisWeek We’ve been busy designing easyJet branded digital banners, press adverts, outdoor banners, taxi wraps and artwork for the digital screens in the terminals. It’s been busy with multiple re-brand projects underway, the launch of a client’s new website (designed and built by Glow – more to come on that shortly), working on Lucketts’ Winter Holiday brochures, plans for upcoming exhibitions and exciting meetings with prospective clients and suppliers. With all this going on, It’s taken all our might not to be distracted by the prospect of a cheeky holiday, thanks to the amazing trips, holidays, and destinations available from our fab clients, Southampton Airport and Lucketts. But it’s not just summer destinations we’ve been browsing (…I mean, working on!) Back in September 2017, Southampton Airport announced the new easyJet route from Southampton to Geneva. It’s the first route that easyJet has flown from Southampton and is an exciting addition to the airport’s already impressive list of airline operators and routes. 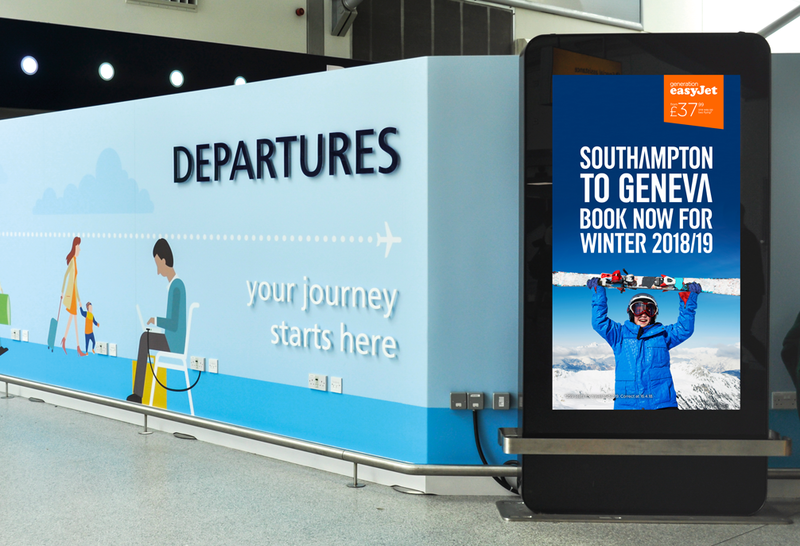 Southampton Airport is shouting from the rooftops about the new route, so we’ve been busy designing more easyJet-branded digital banners, press adverts, outdoor banners, taxi wraps and artwork for the digital screens in the terminals. It’s exciting to work with such a well-known brand, but somewhat nerve-wracking when artwork is sent for approval and sign-off, as easyJet has some of the most comprehensive and detailed brand guidelines we’ve ever come across, and we’ve seen a few! Keep an eye out for the adverts appearing in local newspapers and magazines, and if you’re travelling through Southampton airport, you’re sure to spot some of our designs, not just for their easyJet campaign – the vast majority of graphics, both printed and digital, in the terminal, are designed by the team here at The Glow Studio. The members of the Glow team aren’t known for being the best travel companions if travelling through Southampton airport – we spend the whole time pointing out everything that’s a Glow design – there are hundreds; from car parking signage to destination maps, to the huge wall graphic by the check-in desks – that’s Glow!